Adaptive management and recovery of caribou requires understanding population-dynamics and their drivers. To do that, it is necessary to estimate the abundance of caribou and the species they interact with – such as wolves, cougars, bears, moose and deer. The CMU works on a variety of projects that aim to do just that, using a variety of classic techniques such as aerial surveys, as well as techniques that introduce new technology. In partnership with the Government of the Northwest Territories, we refined approaches to estimate the distribution and abundance of boreal caribou, which are notoriously difficult to count. The report can be found here. 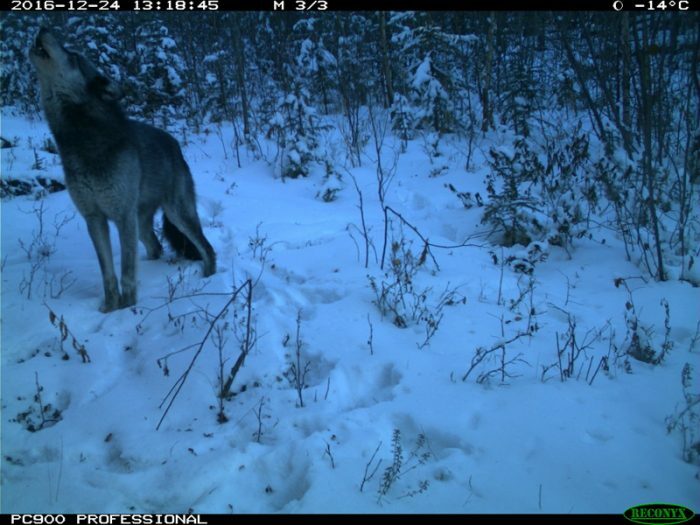 InnoTech Alberta (formerly Alberta Innovates Technology Futures) is developing and evaluating ways to generate reliable density estimates for caribou, moose, black bears, and wolves using camera detections in the Alberta Oil Sands Area. This program will incorporate camera detection histories and/or telemetry movement data for a marked (i.e. collared) subset of individuals to improve the accuracy and precision of density estimates. In addition, the research will compare the camera-based density estimates with independent estimates of density in the region generated by complementary projects. 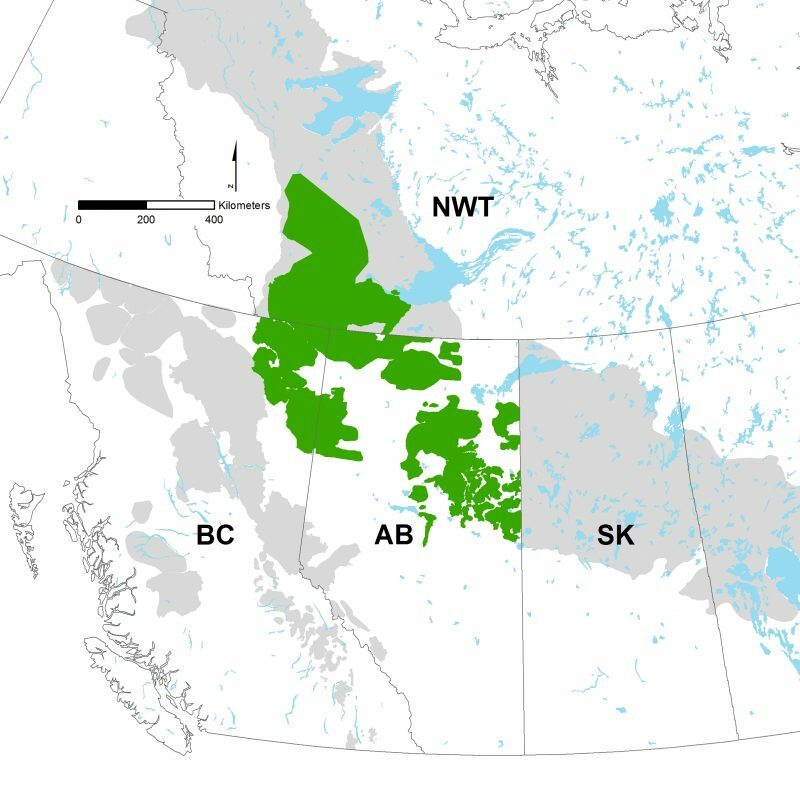 This program will develop recommendations for using camera trapping and spatial capture-recapture methods to reliably estimate densities of large mammal species in future survey and monitoring efforts to support caribou management in Alberta’s Oil Sands Area. Reliable density estimates are important in order to detect changes in mammal populations within and between areas where different land management treatments designed to test caribou recovery have been applied. It’s challenging to count wolves because they are difficult to see in forested areas, they are relatively rare and are wide-ranging. Several approaches have been attempted to count wolves, including intensive radio-collaring efforts followed by flights to count individuals within packs, snow-tracking, and censuses. However, all of these approaches are expensive and time consuming across the extensive landscapes wolves live in. Because of the need to understand wolf densities and drivers of ungulate population dynamics, we developed a method to optimize wolf surveys. 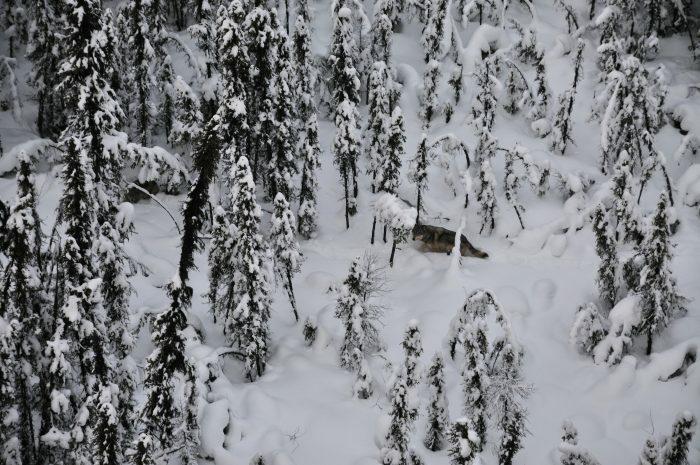 We estimated wolf density by conducting aerial surveys in six units across BC, AB and NWT. Counts were performed by flying transects in winter when wolf packs can be detected by tracks in the snow. We designed these surveys to maximize wolf track encounters and to minimize counting errors. The survey design used GPS data from radio-collared wolves to simulate the probability of detecting wolves based on transect spacing. 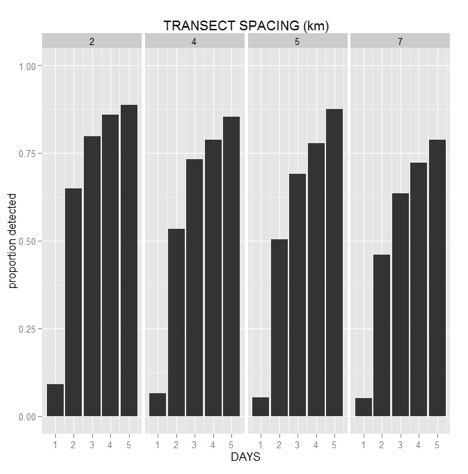 Simulations showed that transect spacing during flights affected detection rates, but detection rates for all transect spacing improved dramatically as tracks on the landscape (days since snowfall) accumulated. For details on this method and its application see our preliminary reports here and here, and stay tuned for updates as additional data are collected.